Most people associate stir fries with Chinese cuisine, and this makes sense, as the technique of cooking ingredients while they are fried in a tiny amount of oil originated in China. What most people do not know, however, is that this technique has spread into cuisines all over the world, including Mexican. Mexican Stir Fry is a delicious twist on the Chinese dish, while remaining as delicious as its origin. Interested in trying it? 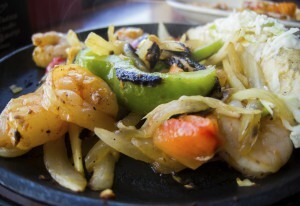 Check out this recipe for Mexican Stir Fry from food.com! Cut chicken into thin strips; toss with chili powder, coating well. Marinate for 10 minutes. Combine cornstarch and chicken broth. Set aside. Pour 1 tbsp oil around wok or skillet, coating sides. Heat at medium high for about 2 minutes. Add chicken, stir fry 3 to 4 minutes. Remove from skillet and set aside. Pour remaining 1 tbsp oil into skillet. Add corn, tomato, garlic, and green onions. Stir fry for 2 minutes. Return reserved chicken to the skillet. Add broth mixture, beans, and salt. Cook, stirring constantly, until thickened. And that’s all there is to it! If you are interested in Mexican culture and cuisine or want to learn how to make more delicious Mexican dishes, check out our blog. Or if you are just hungry and want delicious Mexican food, come to Mexicali. We have locations across Massachusetts and Connecticut and promise that you’ll leave with a smile.